With Apple's new iPod touch now available, the portable media player has been dissected to discover 512 megabytes of Hynix RAM inside its A5 processor, as well as a home button design different from the iPhone 5. 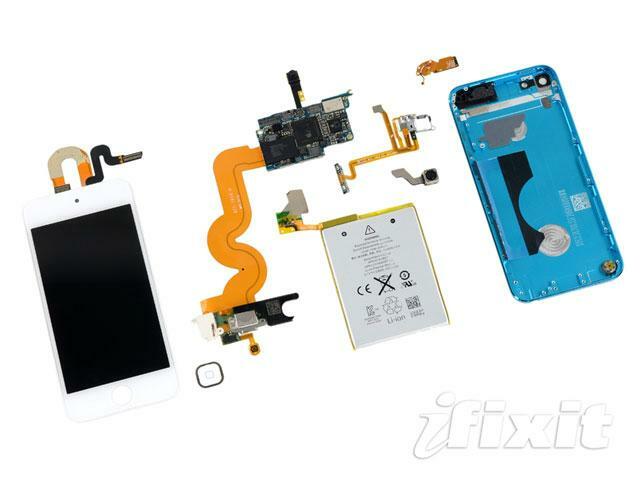 The fifth-generation iPod touch features a home button with a rubber membrane, iFixit found in its teardown. That's weaker than the redesigned home button they found when they took apart Apple's new iPhone 5. The disassembly also found that the volume buttons, microphone, LED flash and power button are all connected via the same ribbon cable that easily peels from the rear case. "We've seen this type of design in previous Apple products," the solution provider noted. "The shift to a single ribbon cable is more cost-effective for the manufacturer, but unfortunately it has a negative impact on repairability." The battery inside the iPod touch was described as a "Plane Jane" component with a rating of 1030 mAh, an increase from the previous model's 930mAh. The battery is advertised to provide up to 40 hours of music playback on a single charge. iFixit also found that the 4-inch Retina display on the fifth-generation iPod touch is inferior to the screen on the iPhone 5. It characterized the iPod touch screen as "a much simpler, cheaper design." 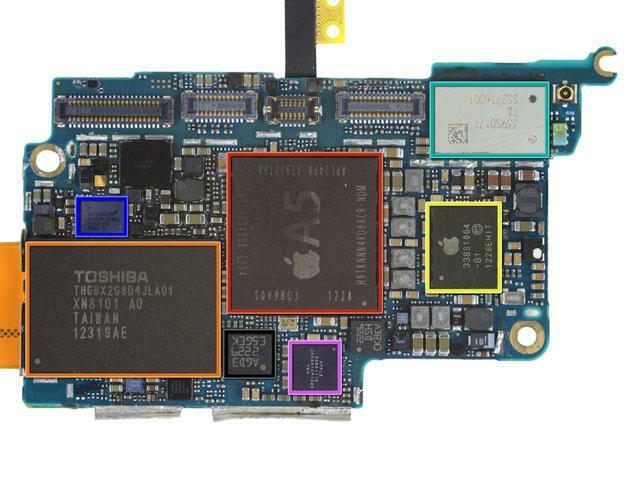 The teardown also offers a closer look at the 5-megapixel camera Apple has put into the fifth-generation iPod touch. The lens is capable of recording high-definition 1080p video at 30 frames per second.